Considering Motorola just became the first company to allow its consumers to connect to a commercial 5G network, it would be wrong to call it lagging behind others in terms of innovation. But lately, the company has strayed from launching flagships and reserved itself to the basics. 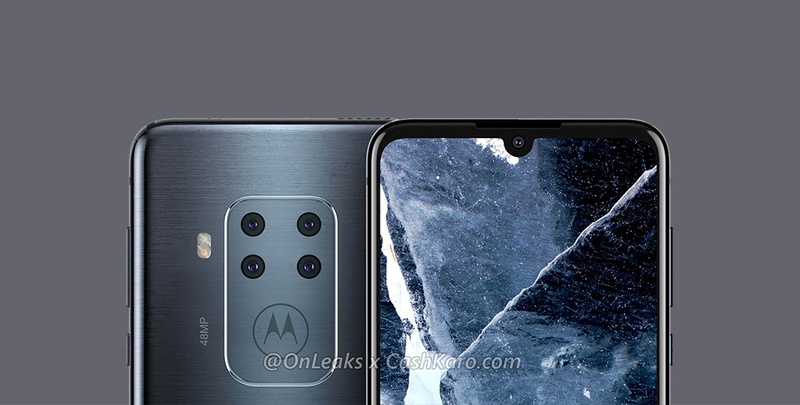 However, Motorola could soon be surprising us with a flagship Android smartphone with quad cameras to compete with the likes of Huawei P30 Pro, Nokia 9 PureView, Samsung Galaxy S10 series, as well as the alleged iPhone XI. 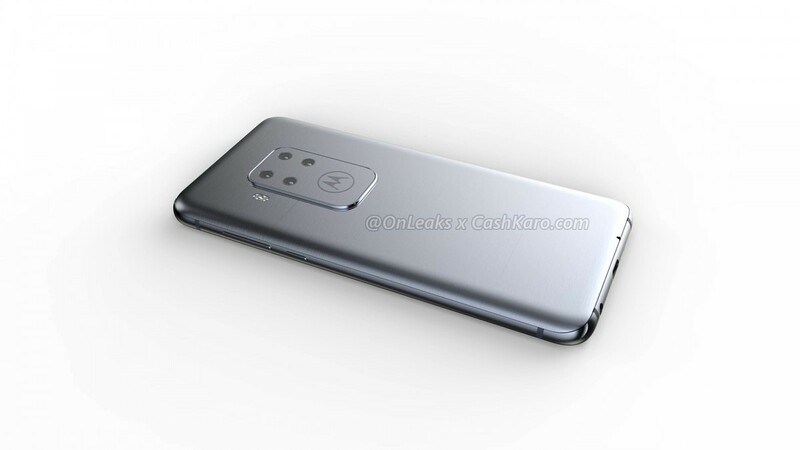 We recently learned about Motorola’s first triple camera phone, courtesy of leaker OnLeaks. 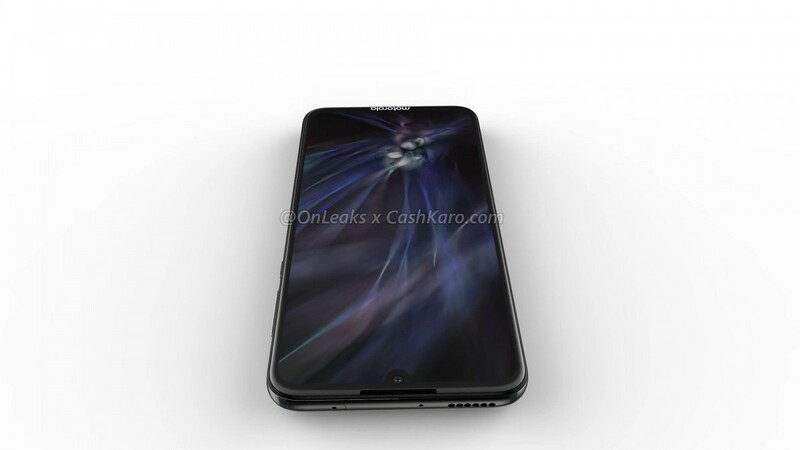 Now, his next leak in the form of CAD renders points to a quad-camera phone from the company. 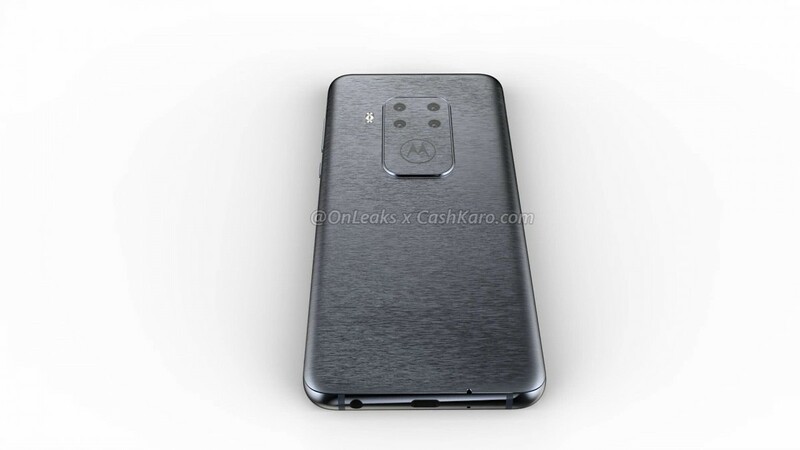 While this is likely to be the Moto Z4, we can’t really say for sure yet. But we can still look at the design and have a fair idea of some of the basic features. Placed in a square arrangement, these camera sensors sit along with a Moto logo on top of a raised platform. One of these cameras is a 48MP sensor, but the exact make and series are still unknown. Because of the cheesy logo, the camera bump appears to stick out of the back more than most users would like it. On the front, there’s a 6.2-inch AMOLED display with a waterdrop notch and an in-display fingerprint scanner. 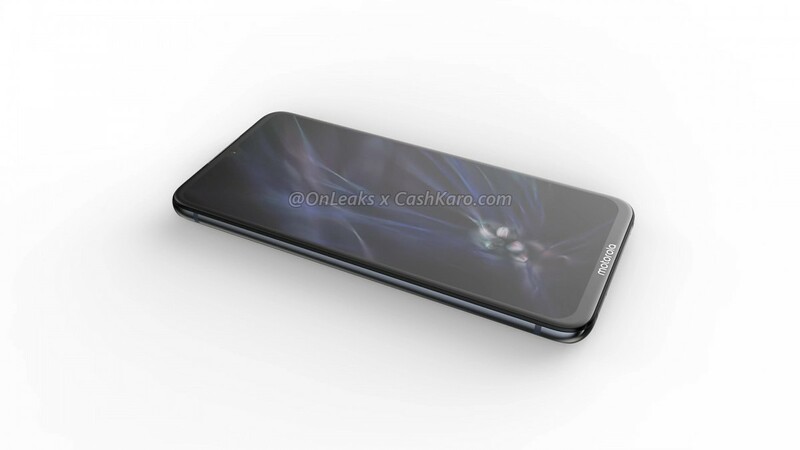 While most of the design elements are futuristic, the phone still retains an earpiece and a thick chin for a boastful branding, which makes it look slightly outdated compared to the Galaxy S10 or the Huawei P30 Pro. Yet another blast from the past is the headphone jack, which is placed at the bottom alongside the USB-C port. Meanwhile, the speaker grille is placed unusually at the top. The device does look like a flagship but there is no clear indication about its specifications. If it is supposed to be placed as a flagship, we can expect it to be powered with a Snapdragon 855. Not being equipped with at least 6GB of RAM will be condemnable in 2019, so we expect Motorola to think wisely in that direction. 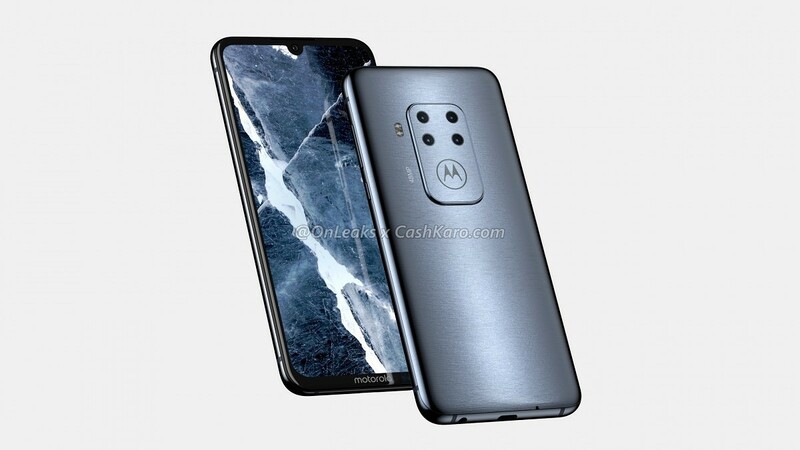 However, we’ll have to suffice our curiosity with the renders and this 360-degree overview video until we learn more about this smartphone from our trusted sources.